Printing on canvas can be a great way to display your photos, either in the home or elsewhere. But with so many canvas printing companies vying for your business online, getting the best canvas prints out of your images can sometimes seem like navigating a minefield. Worse still, if your photos aren’t up to the task from a technical point of view, the results may still be disappointing even if you do find a great printer. This guide will help you to choose the most appropriate images for enlargement on canvas, and then suggest a few pointers as to how you can best prepare your files for printing. 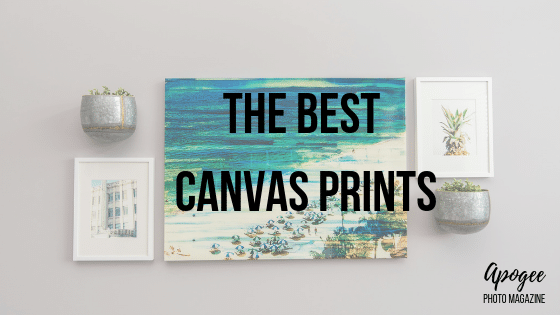 Finally, we go over the main things to look for in a canvas printing company and offer a rundown of the ten best canvas photo printers out there right now. This way you can select the one that’s most suitable for you and your photography. What Makes a Good Canvas Print? In reality, many of the companies offering canvas photo printing also offer very similar services and options as each other. In fact, by all accounts, most (but by no means all) online canvas photo printers use the same inks on the same type of canvas. Ultimately then, when determining who makes the best canvas prints, you’ll need to look into other areas beyond mere printing, sizing and mounting options. More important will be considerations such as customer support, turnaround times, retouching/proofing services, and print quality. While many of these companies use very similar raw materials, the results can vary massively between one printer and another. Particularly with regards to color accuracy and image sharpness. In part, this has to do with how much attention the printers themselves give to each file they are sent. For example, do they look at every photo individually, correcting errors where necessary and showing you proofs for approval before printing? Or do they literally just press the “print” button and then package your canvas up for shipping without giving it even a cursory glance? As customers, we’ve no real way of finding out about a canvas printing company’s methods beyond simply judging the results for ourselves, or checking out feedback from other customers. So we’d certainly advise getting a smaller test print done before investing in an expensive large scale canvas or multi-print display for your wall. But to a certain degree, some of the responsibility for print quality also lies with the customer. That’s you. 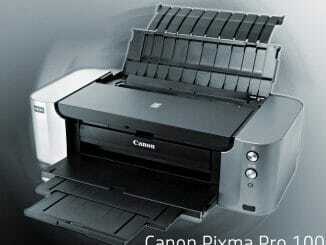 A printer can only make a good print from a good file. Sure, the best canvas printers will use their expertise and judgment to improve your photo as much as they can in preparation for printing. But you can’t expect miracles: garbage in = garbage out. What steps can you take as a customer to increase the chances that you will be fully satisfied with the canvas prints you receive through the mail? While a really nice enlargement can make a good photo look great, it’s important to realize that some photos are more suited to being printed up big than others. What’s more, even if you’ve got a good candidate for enlargement on canvas, there may be some things you can do to help the printers do an even better job of printing your photo. Here we suggest a few pointers to help ensure that you receive the best canvas prints of your photos possible. While a small, low-resolution JPEG file might look good when viewed on your monitor or device, getting an excellent looking print requires much greater resolution. Unless a printing company states otherwise, files for printing require a minimum resolution of 300 dpi and will need to be of sufficiently large dimensions (e.g. in inches or pixels) for the size of print you want to make. Although it can be a bit of a pain to work out precisely how big a file should be in order to print up well at given dimensions, this chart provides a quick and convenient visual guide to calculating what print size you can likely get away with for images produced by your particular camera. Confident that your images are of sufficiently high resolution to print up big? Great! But what ISO did you shoot them at? The resolution may be amazing, but if you used a high ISO, it’s likely that some digital noise will be apparent in the image. Noisy, pixelated prints don’t look good, and if you can see noise on your screen, then you’ll likely notice it even more once printed. Don’t give up though, if there is only slight noise in your chosen image it’s likely that this can be improved somewhat by the careful use of the Unsharp Mask in Photoshop. However, this filter should always be used with great subtlety, as an overly sharpened image often looks worse than a noisy one. Unfortunately, if a high really high ISO has resulted in a very noisy photo, the only real solution is to choose a different image. Everyone loves those narrow depth of field portraits where only the subject’s eye is pin sharp, with everything else rapidly falling off to super-soft blur. Whether this kind of shot will translate into a good print is another matter entirely. Just as a highly pixelated photo (due to a low resolution or high ISO) is not appropriate for printing, one where too much of the image area is out of focus due to a very narrow depth of field will likely not result in a very satisfying print either. Although an image with a very shallow depth of field will often look fine when viewed small on screen, the problem is that there’s not much sharp information for the viewer to focus on when the photo is enlarged. Once the viewer’s eyes have landed on the small portion of the image that is sharp (i.e.in a portrait, probably the subject’s eyes), they’ll start searching around for other information and find only a sea of blurry bokeh. But the brain wants recognizable forms, not just abstract blur. If too much of the background is out of focus, there’s nothing for the viewer’s eyes to alight upon, and this can be very disturbing to look at. Especially if the viewer can more or less make out what the items in the background are and wants to get a better look at them, but can’t. This can already be quite a big problem for portrait photos, but for landscape photography, it’s usually many times worse. Generally then, for a big photo to work, it needs to be one containing sufficient information and detail to justify printing it up so large. This usually means one with a deep depth of field. Having just said that, it’s going to look like we’re contradicting ourselves here when we say that canvas printing is perhaps not the best solution for photos with a lot of really fine detail, as there is some risk that a part of this information will be lost to the natural texture of the canvas itself. To be sure, canvas prints are no longer made on the rough old burlap-style canvas of yesteryear, and rendition tends to be quite satisfyingly smooth and sharp now. However, if the success of your image depends on a lot of intricate detail, then canvas may not be the best option. In which case you might be happier with a regular framed inkjet print. As a JPEG file has, by definition, been compressed to a certain degree, it’s generally better to print from a TIF or PSD. These formats preserve more information. Nonetheless, if a JPEG is of sufficiently large dimensions and high resolution, the amount of information lost through the compression process will likely be so minimal as not to make an enormous amount of difference. Indeed, some printing companies will only accept files uploaded in JPEG format (primarily because the smaller file size saves them bandwidth and time). But still, if you have the choice of sending your photos to print as uncompressed TIFs rather than JPEGs, then do so. This way you can be completely sure you will not lose any information. Many companies offer the possibility to print your image not just on one single canvas, but across several – as a diptych or triptych for example. This can look fantastic. But in order for it to work, it needs to be done with the right image. Rather than having only one central focus of attention, landscape photos tend to contain interesting detail in most parts of the image. For this reason, landscapes tend to work really well when printed across several canvases, as all the canvas panels will contain interesting information for the viewer to look at. Similarly, more abstract and graphic photos, or ones featuring a lot of texture, can work well across more than one canvas too. Conversely, close up portraits tend not to be a great choice for this kind of print, as seeing a person “cut up” by the canvases can have a jarring effect on the viewer. Wider environmental portraits are an exception though, as here it is more likely that the subject will appear entirely on one canvas, with only the background on the other(s). Ultimately, how well suited a particular photo is to printing across multiple canvases will depend on the precise positioning of the most critical elements within the frame in relation to the divisions between each canvas. So, for example, even if a particular photo doesn’t work well when viewed across two canvases (because important details fall right on the divide), it may still look good when printed across three, as now the divides will fall at a different position. It’s important to experiment before deciding how many canvases to use, so as to find the best solution for your chosen image. It’s entirely up to you which style you go for of course. But bear in mind that, by choosing an image wrap canvas, some of the image will be lost to the sides. This means that an image that is closely cropped around the subject (say, a close-up portrait, or even a cityscape) might result in the top of the subject’s head or the roofs of the buildings disappearing around the edges of the canvas. When seen from the front, this will look like they’ve been chopped off. This isn’t a technical consideration, but just simply that we encourage you not to rush in choosing a photo for printing on canvas. While you may feel really excited about a particular image right after you’ve shot it, it’s only really after you’ve lived with it for a little while that you can say for sure that you will want to look at it on your wall day in and day out. Also, you need to be absolutely sure that you’ve edited your photos as best you possibly can before sending them to be printed. Although a good lab will fix unwanted color casts and improve contrast if necessary, you can’t rely on your printers to offer a free retouching service. And anything that strikes you as a minor imperfection when viewed on your computer now will soon transform into a screaming defect when blown up big and seen every day. The moment to notice that irritating lamppost sticking out behind the subject’s head is not when the photo is already hanging above your couch printed on 20×30” premium canvas. Before making your final decision, you could try printing up a quick inkjet print and sticking it on the refrigerator door or a pinboard to see if it still works for you after repeated viewing. 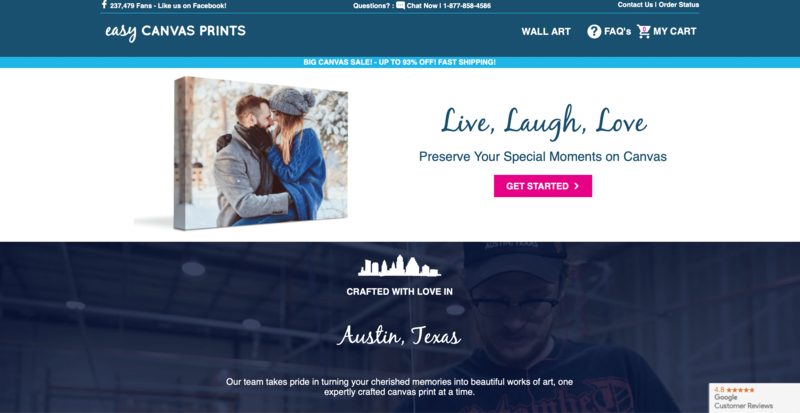 How to Choose the Right Canvas Printer for Your Photos? Okay, so you’ve made your selection and got your image looking its absolute best. But how do you decide who to entrust with the printing? Although it can sometimes be difficult to work out whether a printing company will be any good just by checking their website, there are several clues that we can refer to as a guide. If you are relatively new to photography or photographic printing, a website that is simple to navigate and written in a friendly way that doesn’t confuse you with technical jargon might put you more at ease – convincing you to send your business in this company’s direction. But cute marketing doesn’t necessarily equate to quality products and services. Consider that professional photography clients are likely to be more knowledgeable and demanding than people just wanting a decorative print to hang in their own home. Logically then, a printing company focused on the professional photography sector is more likely to produce professional quality results. Indeed, as professional photographers will not tolerate substandard service, the continued existence of the printer’s business depends on it. 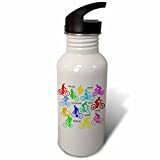 Consequently, a website that goes deeper into technical details about the printing processes and materials used – and especially about color calibration – may be a more positive sign than one that tries to be overly simple and approachable to all-comers with charming marketing-speak. Don’t be intimidated by technical jargon, as any serious printing company will be happy to explain the process and technical requirements to you via email or over the phone. Some companies make impressive claims about being able to deliver stunning canvas prints from literally any photo. For sure, a good printing company will adjust your image in order to produce the best results possible. But we’re talking about printers here, not magicians, and realistically the only way anybody can make an acceptable 30” enlargement from a tiny 50KB file is by applying various filters to reduce the pixelation. That’s fine if you want a print that looks more like an abstract painting than a photograph. Just don’t expect a print made from such a small file to be even slightly sharp when blown up, as the only way to disguise the huge pixels of a low-resolution photo is to blur the entire image. In short, be wary of companies promising the impossible. This leads us to the matter of soft proofs. With some companies, you just upload your file, pay your money, and hope for the best when the prints land in your mailbox. Instead, more serious companies want you to be happy with your canvas print, and so they check your file, adjust it for color, density, and contrast, and remove any blemishes if necessary. They’ll then send you a copy of this edited file for approval before printing. A company that offers free soft proofing is a company aiming for customer satisfaction. Anyone in this business for the long term will value their reputation. Check that the About Us section on the company’s website tells you something about the company and the individuals behind it. Some About sections distract the reader off with yet more generic copy about the great services the company claims to offer, without revealing anything significant about the business or its history. To me, this smacks of fly-by-night business practices and does little to reassure me that I’m looking at the website of a company with serious expertise in the sector. If a company doesn’t want to tell you anything about their business history and how they gained their expertise, ask yourself why. Likely it’s simply because there is no real history or expertise to speak of. Anyone can buy a couple of printers and anonymously knock out some canvases without too much concern for quality control. Instead, people putting their name to a service will want to deliver that service as best they can, fully satisfying their customers. While a page full of friendly team profiles doesn’t guarantee your expectations will be met 100%, it likely does mean that if something should go wrong, then the company will be eager to resolve the problem as satisfactorily as possible for everyone involved. After all, it’s their name on the line. Also check to see if there are photos of the workshop and products being made on the website, as this likely indicates that the company does all the work itself rather than outsourcing to an overseas partner. Finally, does the company offer any kind of satisfaction-guarantee or price matching? Of course, none of the above points are foolproof ways to tell if a printer is serious or not. Even if they don’t really care about the quality of the work they produce, some people are nonetheless very clever at marketing. These companies just want to hook you in and take your money, and they know that many potential clients will be looking for just the kind of indicators we’ve just mentioned above. Nonetheless, when combined with other information about a company’s services – such as reviews on Yelp, Google and social media – the above pointers can help to give something of an idea of what you might expect from a canvas printing company. 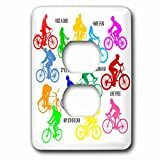 Ultimately though, the only definite way to find out if a canvas printer is any good is to try their services for yourself. Just start small – and cheap – before ordering that 40×60” enlargement! With that said, here’s our run-down of the ten best canvas photo printers in 2018. You can tell that you’ve landed on the website of a serious photo printing company when you visit prodpi.com. Unlike any of the other canvas printing services we look at here, there is a section dedicated to calibration; offering tips on how to calibrate your own working environment for more accurate color matching. 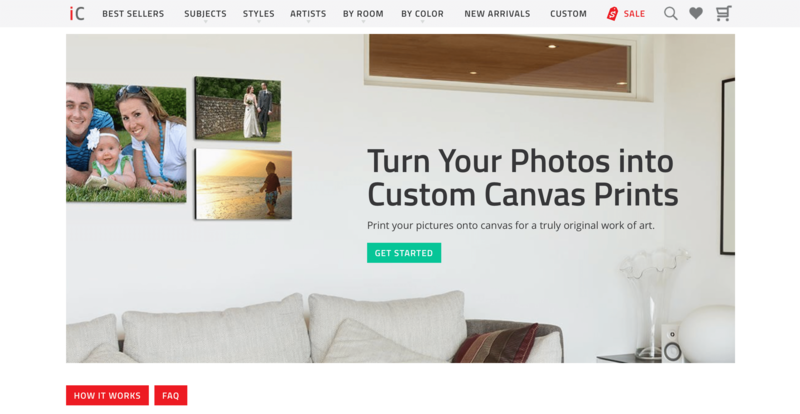 Indeed, ProDPI is not a niche canvas “wall art” printing company, but just one of the better online general purpose photo printers in the US (see our guide to the best online photo printers for info about the company’s other services). Nonetheless, the principles of good photo printing are largely the same across different media, and so it’s unsurprising that Pro DPI also ranks as a producer of some of the best canvas prints out there. Fast turnaround (2-4 days in-lab) and good color accuracy are ProDPI’s main talking points. However, ProDPI’s canvases also come with a reduced ecological footprint, as the company sources its canvas from a manufacturer who plants a tree for every roll of canvas ProDPI uses. ProDPI offers gallery wrap canvas printing in sizes ranging from 5×5” to 40×60”, with a frame-depth of either 1.5” or 2.5”. A drop shipping service is also available for pro-photographers looking to sell their artworks. The folks at family-run firm Canvas HQ pride themselves on providing the best quality canvas prints out there, and offer a 30-day money back guarantee to back this up. They’ll also touch up your photos free of charge to remove any perfections before printing. What’s more, shipping is free for US orders. Printing is done with UV-resistant inks designed for outdoor use (so they’re also waterproof) and the canvas is high quality 400 gsm poly-cotton that was made in the USA. Canvas HQ offers a range of matte, semi-gloss, iridescent, and vintage canvases (these are actually different canvases, not just different coatings added to the same type of canvas after printing). The canvases are stretched across handmade pine frames, which are available in three different depths: 0.7”, 1.5” and 2”. Most customers seem to be very satisfied with Canvas HQ’s quality; although one user did complain that contrast and saturation appeared to have been bumped up compared to their original image. However, it’s always worth bearing in mind that unless your monitor is calibrated to that of the people doing the printing, it’s more or less impossible to provide a truly exact match between what you see on your screen at home and what will arrive through your door on the canvas. Operating since 2002, Canvas On Demand is a company with plenty of experience in the sector. 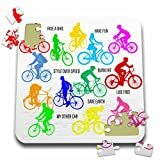 Canvas On Demand offers museum-grade canvas and a variety of wall display sets: printing several images on a series of different sized canvases for a gallery-like installation. For extra warp resistance, Canvas On Demand offer their patented 1.25” “Premium” canvas wraps in 25 preset canvas sizes. This service comes with an extended 2-year warranty. And if you’re a professional or semi-professional photographer in need of a supplier so as to start selling canvas prints to your clients, there’s also Canvas On Demand’s professional reseller program for discounted rates and special services. As with many of the companies we look at here, Canvas On Demand offers the possibility to print your image not only on a single canvas but spread across two or more canvas panels. 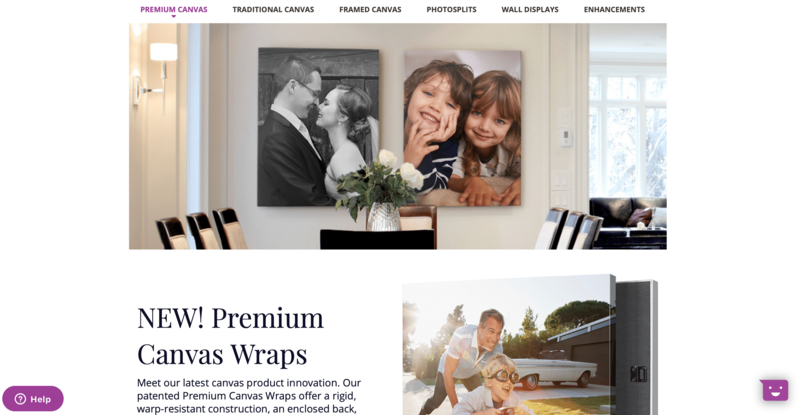 However, unlike other companies, Canvas On Demand felt the need to trademark this less-than-innovative service under the proprietary name of PhotoSplits™. 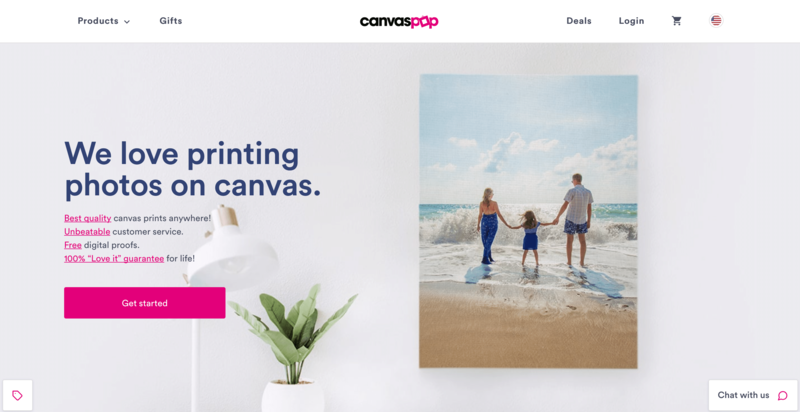 Canvas On Demand often offer significant discounts by way of Groupon, so you may want to check out this avenue if interested in using their services. 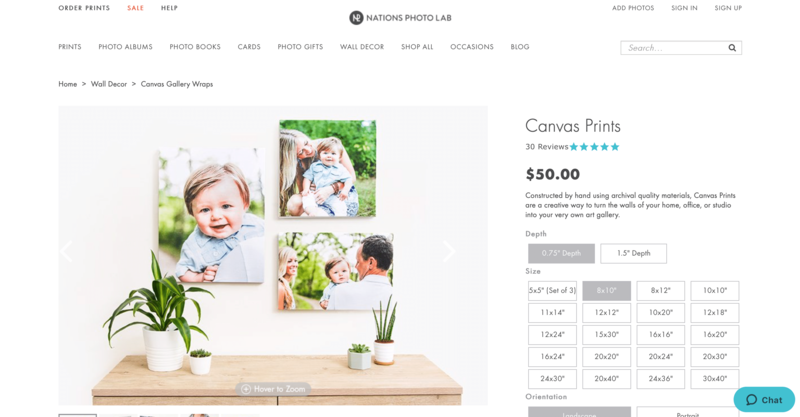 Nations Photo Lab is one of the better-known companies in the US for general photographic printing online (for more info, see our guide to the best online photo printing companies). So while the company is not specialized in producing canvas photo prints, it in fact, has considerable expertise and experience across all areas of photo printing. Nations Photo Lab offers handmade, archival quality gallery wrap canvases in a variety of sizes, from 5×5” all the way through to 30×40”. Choose between a slim frame-depth of just 0.75” or a chunkier 1.5” that’s more suitable for larger canvas sizes. Printing is done on museum-quality canvas, and prints are sealed with a high-gloss protective layer before shipping for extra protection. Canvases can be designed with the image “wrapping” around the sides of the frame, or instead with simple white or black sides. With turnaround times of about a week (printing, stretching and overnight shipping), Nations Photo Lab is among the fastest of the canvas printing companies we look at here (although one or two are even faster if speed is really of the essence). CanvasPop is undoubtedly one of the most popular canvas photo printers out there right now. Their canvas prints are handmade in America using archival-grade inks and canvas. Indeed, the company is fond of showing their employees working away stretching canvases and preparing frames, so that you know they’re not made in some offshore sweatshop. CanvasPop offers free digital proofs, and they even include a nail in the package for hanging your print. For convenience, prints can be made direct from Instagram and Facebook. 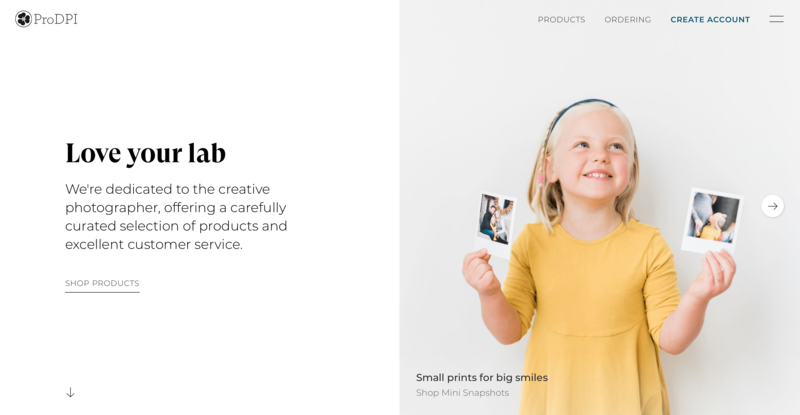 CanvasPop claim to be able to print from any file, no matter how small, and still “make it look great…guaranteed!” It’s hard to see how they can deliver on this promise though, beyond simply printing the photo very small. CanvasChamp is more about competitive pricing on high volume orders than about top quality printing. CanvasChamp guarantees the lowest prices, so if you find a lower published price somewhere else, they will match that price and then give you an additional 10% discount off your order. The company also prides itself on fast shipping. 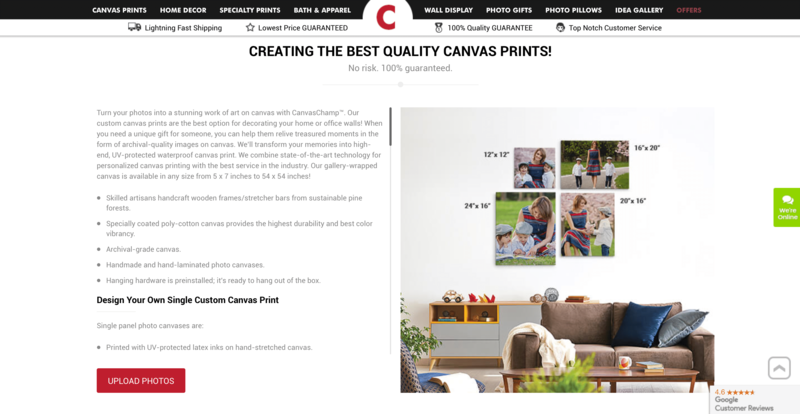 CanvasChamp can print single-panel, split panel, or even unframed rolls of canvas. Alternatively go for the hanging variety, suspended between two wooden bars. For a more unusual, creative option, choose a hexagonal-shaped canvas and turn a series of photos into a tessellating photo installation. Ordering a group of eight or more small hexagonal canvas prints can create a stunning honeycomb effect. CanvasChamp also offers numerous other printing services such as metal and acrylic prints alongside a variety of gift ideas. Unsurprisingly enough, Great BIG Canvas specializes in printing large format canvases. However, this isn’t a company dedicated exclusively to printing up customers own photos, but also offers a large range of canvases featuring the work of other artists (and not exclusively photographers either: you can get a print of everything from Hokusai’s famous wave to vintage Art Nouveau posters). 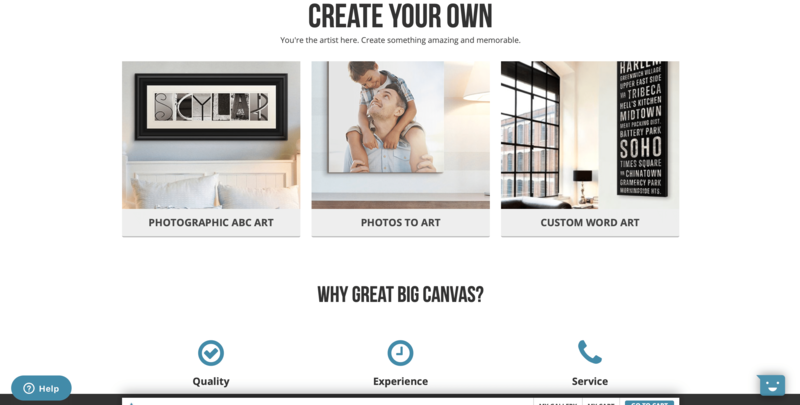 Great BIG Canvas is from the same family of companies as Canvas On Demand (see above), and the main difference between the two appears to be the library of artworks that Great BIG Canvas offers users. But when it comes to printing from your photos, most of the services essentially seem to be the same. Nonetheless, for those wishing to print their photos on canvas, Great BIG Canvas presents a serious option, offering Premium Canvas Wraps with rigid, warp-resistant construction and an enclosed back. Choose from an an enormous variety of canvas edge colors or wrap your images full-bleed. As with Great BIG Canvas (above), iCanvas offers an extensive range of artworks for customers to choose from, including everything from Banksy’s street art, to Spiderman, or romantic images of horses galloping through the sea. Beyond this though, iCanvas also provides the possibility to custom print from your files using their Photo-to-Art service. To take advantage of this facility, simply create an account, upload your photo, and choose from one of the preset canvas sizes. Within 24 hours you’ll receive a digital proof of your image, brightened, sharpened, color-corrected, and with red eye removed where relevant. Once you’ve given your approval, the finished canvas will arrive at your door in two weeks. Pictorem is another company offering customers the opportunity to choose from a huge gallery of pre-existing artworks, ranging from reproductions of oil paintings by old masters to vintage poster art, and even graffiti. If you wish, you can also join the ranks of artists selling on the site yourself. Alternatively, you can upload your photos and order from Pictorem’s selection of canvas formats: roll, stretched, floating frame, and, uniquely, a metallic canvas the company calls Silvery Stretched that is especially suited to printing black and white images. Split panel printing is also an option here. Pictorem offers a 30-day guarantee on their fade-resistant prints. 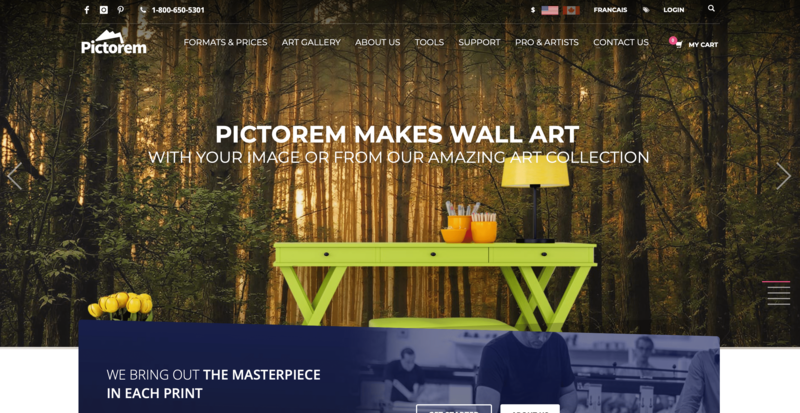 The company also provides a drop shipping service within the US and Canada, with a discount for high-volume orders – making Pictorem a good option for professional photographers wanting to sell prints directly to their clients. 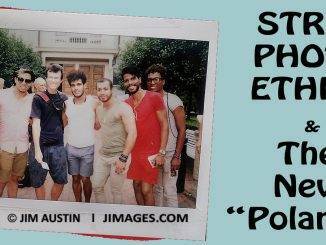 Easy Canvas Prints is an Austin, Texas-based canvas photo printing company specializing in “gallery wrapped” canvas prints from customers’ photographs. Easy Canvas Prints also offer competitively prices wall display packages, containing from 3 – 7 different sized canvases, and can print on other surfaces too, such as metal and wood. You can even order copies of your photos as fleece picnic blankets or printed on cushion covers! While there seems to be little disagreement that Easy Canvas Prints has made ordering canvas wall art an easy process, one or two customers have reported that they were less enthusiastic about the print quality. Although it must be said that many, many others have been very satisfied with their prints and the company has an excellent Google rating from many thousands of users. When done right, getting enlargements made on canvas can be a great way to display your photos. Of course, with its subtle texture, canvas printing will not be the best solution for some images – especially those with a lot of fine detail. But most others will really benefit from the added interest imparted by the slightly coarse, grainy surface of the canvas. The first step then is to choose the right image: not only in terms of it being your most visually stunning shot, but also with regards to technical considerations, and even just how suited it is to the medium and being blown up to a large size. Once you’ve settled on your choice of image, be sure to edit and retouch the file as best you can in preparation for printing. Next, it’s time to choose a printing lab to produce your canvas print. Although there are many companies that specialize in only canvas printing, in practice the broader knowledge and expertise of a more general professional photographic printing company seems to translate into better quality canvas prints in the end. Finally, although printing on canvas might initially appear expensive when compared to ordering regular photographic prints, bear in mind that most photos will need framing, and this can be quite costly. Meanwhile, the best canvas prints tend to be coated with a protective, wipe-clean finish – so they don’t need to be put behind glass – and come with all the necessary hardware to hang them right away.